Dimensions: 60" wide, 55" high. 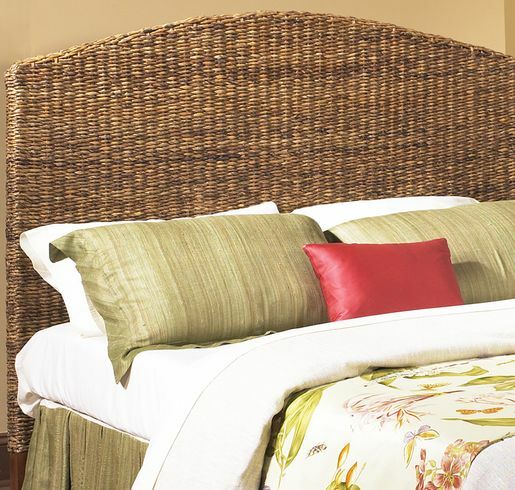 Sit up and read your favorite novel in bed on this fully woven seagrass queen headboard. Practical as well as beautiful this seagrass headboard is frame on a solid hardwood frame and can be drilled to attach to any queen size bed frame. Transform the ordinary into the adventurous!! Matching night table sold below. Create an eclectic look by purchasing our seagrass headboard and combining it with a mahogany wood chest of drawers. The segarass can also be combined with oak or pine wood. I have ordered several pieces from Wicker Paradise over at least three years, and not only is the quality of the merchandise excellent, the customer service is a 10 . Everything is shipped immediately and the packaging is always superb. If you have any questions, a real person is always available to answer you. I would not shop for wicker furniture anywhere else.